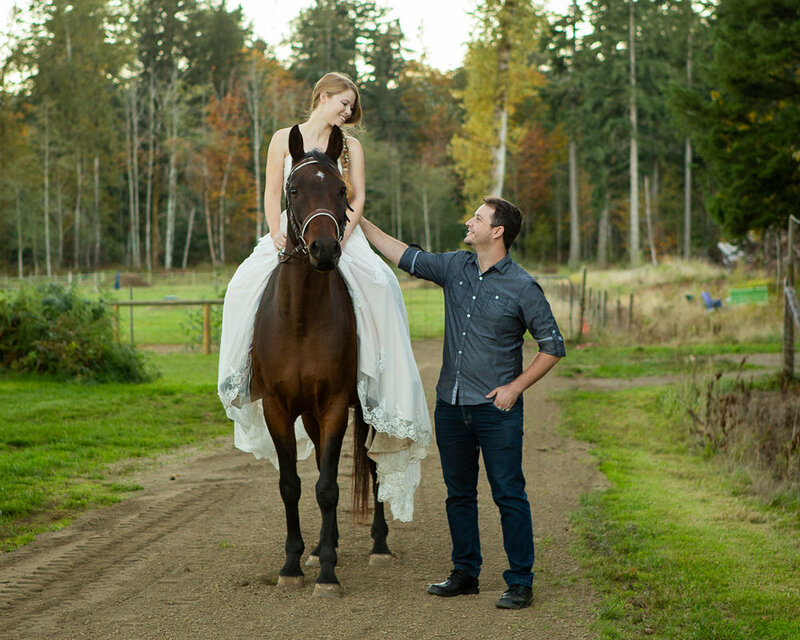 My daughter Jessica has been a horse girl since grade 4, and when she got engaged to her man Elder, she thought it was fitting to have the ceremony at her horse Maverick’s barn, Dove Creek Heritage Farm. But alas, the weather didn’t cooperate and we made the decision to have the ceremony at the reception venue, the Little Red Church in Comox. 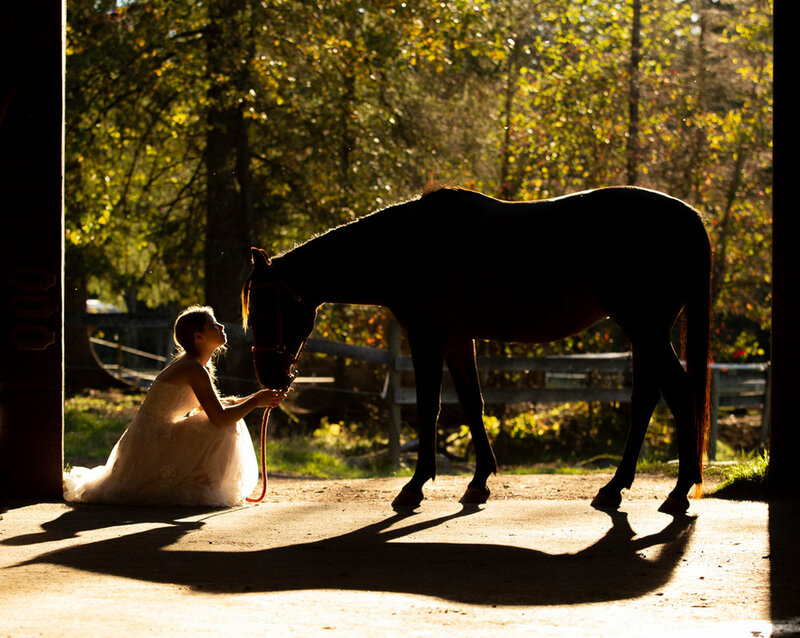 Jessica still wanted to have photos with Maverick, so a few days later we headed out to the barn to do a “trash the dress” session. I’ve never really been comfortable with the term “trash the dress” because I’m much too practical for that. But, I like the idea of brides being able to do some fun shots in their dress without fear that they might get it a little bit dirty. And, I like the thought that after the wedding is over, it’s time to get on with life (the marriage is of course more important than the wedding), and that she won’t need the dress anymore. So here are a bunch of shots from our fun time together!